Hero: Must be in your party, of course. Stronger than Dagger-Pit and Lane, but weaker than early Boomerang-Pit due to lack of attack flexibility/range. Once he hits 6 and gets the wider arc swing. he becomes incredibly useful as he's the only hero that can hit enemies on a different row than him for free. Becomes ungodly OP around 66%-80% through the game. Pit: Dagger Pit is trash in combat. Boomerang Pit is your only means of free ranged attack for about half the game. Falls off hard around the point you get Jude. Useless by end game. Levels barely increase his damage. Is important however as a source of wall breaking. Lane: Her heal is the only real use for magic restoration. Her damage is low but later on it's not THAT much lower than Hero. If you don't get her heal, she's a good holdout hero with her shield. Her heal grows more MP-efficient with levels. Kyle: Crazy strong when you get him if you go grab his 3-4 levels in the graveyard. Once you beat up the Lich/Magician boss, his magic becomes a wall breaker and Pit becomes almost entirely redundant. Jude: Another ranged character. His magic is super powerful but it's costly and, frankly, you won't use it much because a fast A mash will out-DPS him on bosses. His A pierces and hits most enemies 3-4 times per projectile so his DPS is much higher than his stats imply. Sadly his HP is trash and by endgame he dies in 2-3 hits. If you take him DO NOT EMPOWER HIM or his projectile loses its pierce. Lee: Lee starts out with more HP and slightly less damage than Hero, but once you get his Rapid Fire attack he becomes a powerhouse. Rapid Fire costs 2 or 1 MP depending on level and hits in a square in front of Lee 3-4 times for about the same damage per hit as Hero's slashes. This is slightly less DPS than Hero slashes but still solid. Lora: A Lane/Pit hybrid. Healing magic and a bow for attack. Her heal grows _LESS_ MP efficient per level, so if you take her as a healer, keep her at level 1. Also DO NOT EMPOWER HER or she loses her heal in exchange for a totally useless free Fairy Wing spell. If you drop healer Lane for healer Lora, you get slower but more MP efficient heals. A winning deal IMO. Zold: Crazy powerful. Hits harder than the hero and Kyle, has a screen-damage spell. If you do the silly song and dance to get his powered up weapon, becomes ranged too and his attacks double-hit (one hit from sword, one from projectile). Complete package. The more you backtrack to get his levels, the more powerful he becomes, up to FOUR TIMES as powerful as Hero. In addition, you should minimize hero switching unless absolutely necessary. Heroes come in at level 1 and you HAVE to go hunting for at least a few levels or they're trash; that's time lost. Flying Imp: Gives you Pit's Boomerang. Can be beaten in a straight up brawl with the two heroes you have. Questionable if worth it. Does give you a chance for a Fairy Tear or Magic Ball very very early in the run. Ghost: Gives you Lane's Heal. Critical unless you want to rely on healing item drop luck. Brawl-able with Lane's shield and potions. Lich: Gives you the Thunder Rod. Important if you plan to drop Pit at any point. Lunges in straight lines to hit you. Scammable if the hero has his wider arc swing already. Probably have to use a heal or three. Giant Hand: Required to progress and empowers Jude. This is the first boss you can just facetank then heal up with Lane if she has her heal. Otherwise you can bring in a few healing items and just fight him straight up that way. Mechanical Beast: Empowers Lee. The first completely pointless boss (unless you take Lee of course). Since he moves, getting in his face and swinging isn't as viable as other bosses. Use Hero and keep just in slash range. Your wider slash can actually kill the orbs too, so make sure you hit them on their flight path. Dragon: Empowers Lora; but it's a pointless empower. Now we're back to the "Punch it with three heroes and heal with Lane or potions" strat. Park to the immediate left of the head and swing away. Unlike the last boss, you cannot kill the orbs this one fires. Knight: Required to progress and empowers Zold. Yet another boss that can be pounded with reckless abandon and Lane picks up the pieces. Park on the left edge of the screen, 2 tiles from the top, and spam swings to the right. You'll hit him quite often as he darts around if you have hero's 2nd wider swing (level 13). Barius: Same strat as before. Walk up to the glowing part and swing away. You can't kill the orbs he fires. If you stand right-aligned with the glow part and one tile down from it, the fast moving left-to-right orbs will miss you entirely. You can do this with no healing with Zold and Hero at okay levels. "Scamming" is a term I came up with for using an otherwise worthless hero to tank hits during a boss, giving you more time to DPS with useful heroes. You're effectively scamming the boss by giving your useful heroes more HP than they should have. For the three bosses in Any% (and really all but one boss you'd want to do this on in All Bosses), this exploits the fact that the bosses move on a very predictable pattern and their damage usually comes from projectiles that hit you once before they fly away. This also exploits the fact that I-Frames persist even if you menu and switch characters. This lets a high damage hero do all the damage, and a low damage hero take all the hits. This lets you keep those high damage heroes out longer without wasting healing items, and gives even Pit and Lane a use later in the game when their damage would normally just be a waste of time. If you do this with Pit, it's not even worth attacking with him; you'll just cause lag for 1 damage a hit. "Carrion Tanking" is another cute name I came up with for a simple and basic strat. Keep in mind you get a free heal for your entire party every town. If you bring Kyle and Lane to get you through the Hand fight, that's 88 + 60 HP that you can access to increase your damage boosting capabilities. So in a nutshell, Carrion Tanking is using "Dead" heroes to run through rooms that'd do too much damage to the Hero or Zold to tank normally. Just don't let their low HP maximums get them killed! The most prominent use of this is the infinite bird room in the forest immediately outside Farewell. I used to spend 10 seconds doing a specific movement through that room to kill the birds to retain Hero's HP; instead now I just switch to Kyle and lets the birds feast on him since he's useless otherwise anyway! OneHand is honestly the scariest part of the run. If you got a Tear from him you're golden! Get two Zold levels on the way (4). Zold-4 lets you tank 2 cycles from Barius. 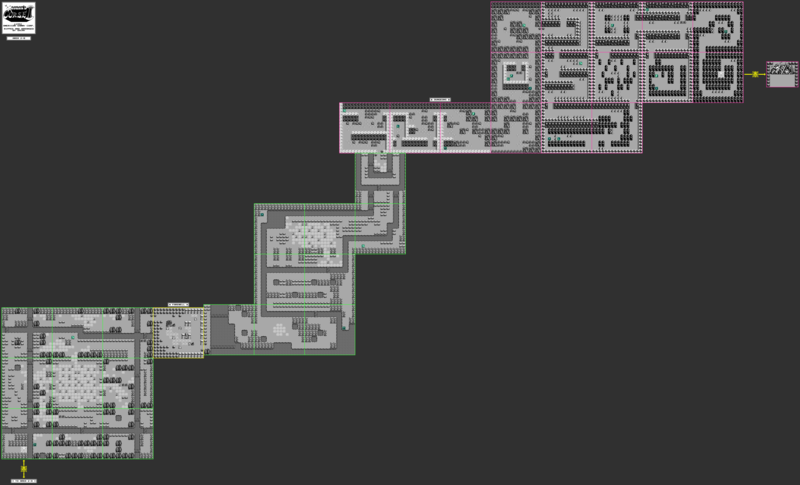 Early runs should go for level 13 Hero (and follow the route above, including the two levels in Ruins. This gives you a strong Hero attack and his maxed out sword slash size. Once level 13 runs are comfortable (around sub-27?) you can start eliminating some of the other levels. The first one to go is the second Ruins level. This is a 65 second time save just on paper, and eliminates a Pit bomb that would normally run him out of MP and require an MP drop to progress. It's a huge time save; the largest available by far. My 24:37 uses this route. Second is the other Ruins level. This is only a 20 second time save, but it's the biggest possible save that won't cut levels in the critical early game. My 24:14 uses this route. After that, here's some ideas on eliminating further levels; all untested. This is based by step-counting by Vandaeron and my anecdotal experiences. 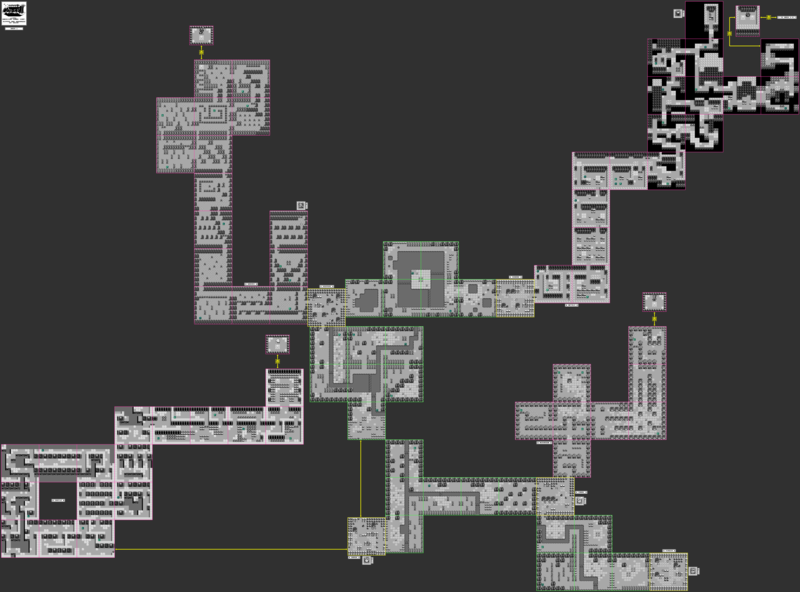 Also to note: Kyle and Zold levels are already optimized as far as I think they can be. Kyle gets two levels on the way through the route (neither costing ANY steps) and Zold gets the fastest three levels to give him Level 4, which is required to survive two attack cycles from Barius. Lane is not leveled at all if you even take her.